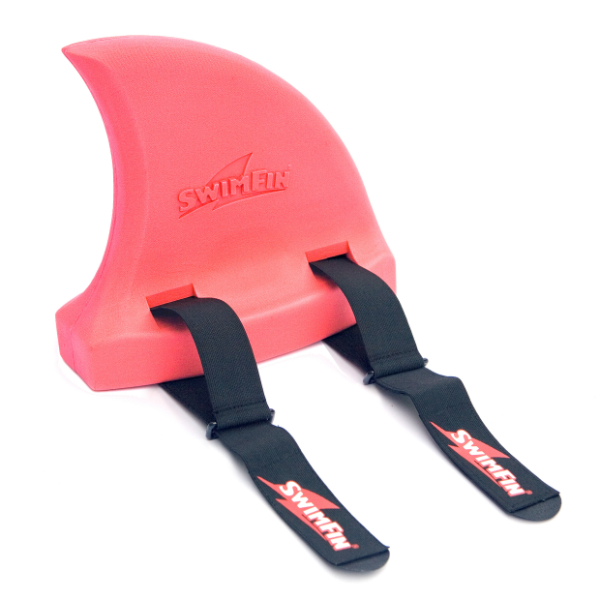 The Shark Fin for Children learning to swim, a safety swimming aid and flotation device. 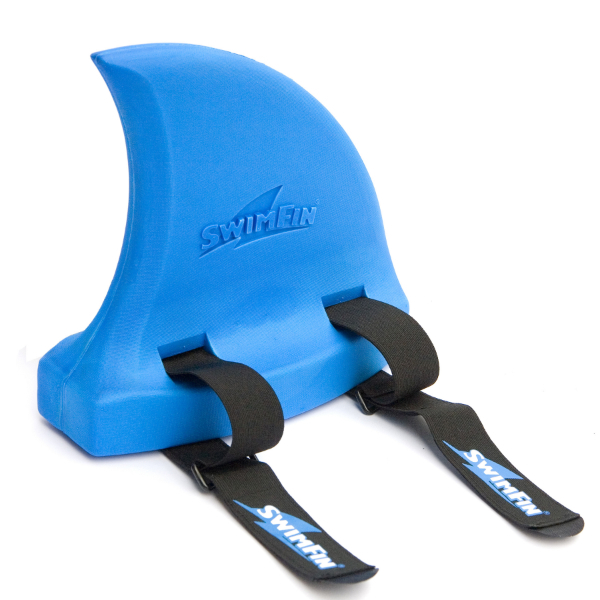 The innovative and unique design of SwimFin, the shark fin for children learning to swim, ensures that your little shark's water confidence will improve quickly. 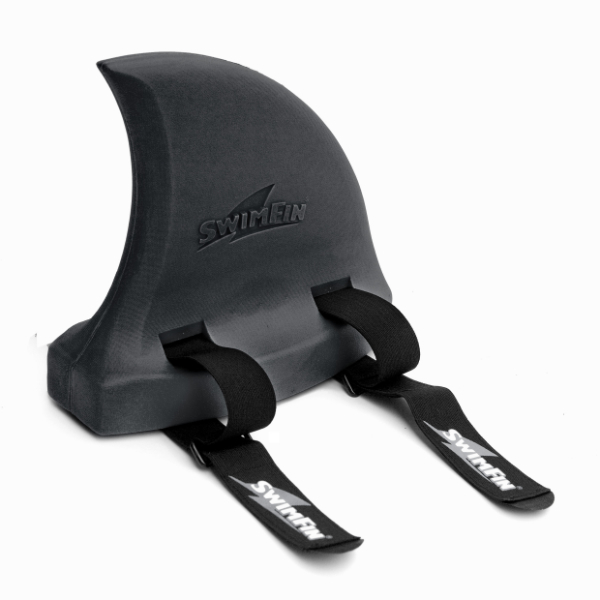 SwimFin is a vertical swimming aid worn on the back, allowing the arms and body total freedom of movement in the water. 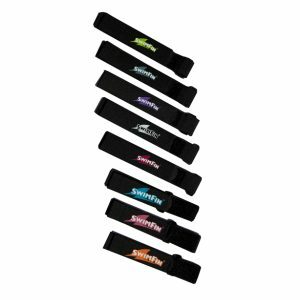 Wearing SwimFin, children's swimming aid of choice, helps swimmers to adopt a more natural swimming position which will help to conquer water wobbles in no time. 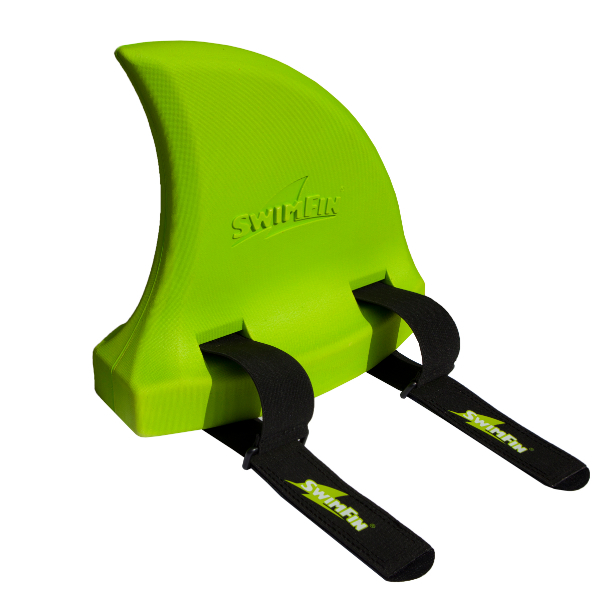 SwimFin is FINTASTIC for learner swimmers but is also a useful swimming aid for older swimmers who are working on all four swimming strokes. 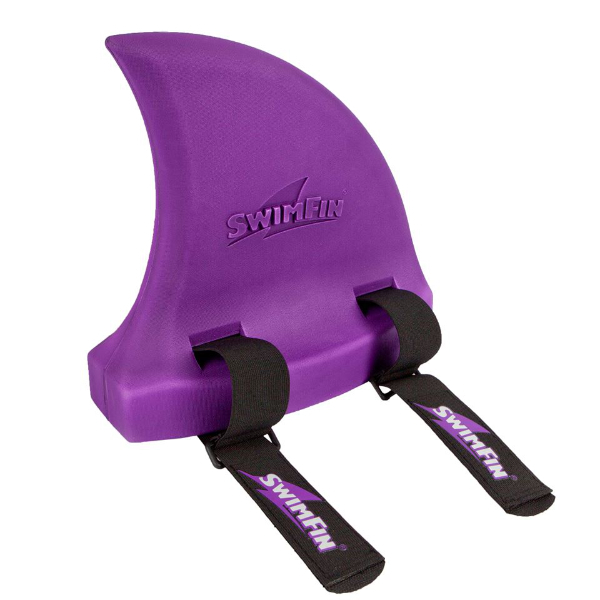 SwimFin works for all ages and abilities and adjusts to fit all sizes with two elasticated hook-and-loop straps. Safe for ages 18 months and up and when fit properly, SwimFin will not slip off or tip swimmers forwards or backwards. 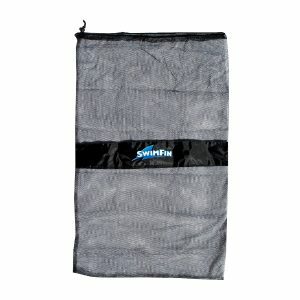 This state-of-the-art swimming aid comes in 8 fintastic colours, sure to suit every family looking to build swimming confidence! 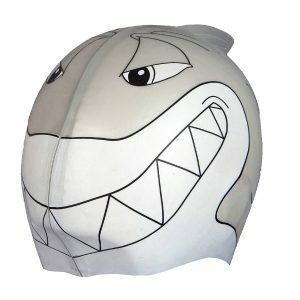 Why not help your little "shark" to stand out at the pool, beach or seaside and get splashing! All orders will be dispatched within 48 hrs. Delivery within 2 working days with exception of weekend and bank holidays. 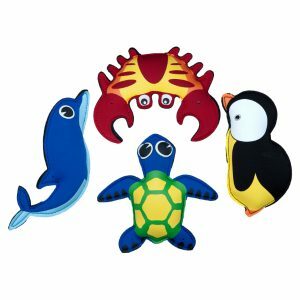 Orders sent outside the UK may take up to 7 working days. Customs charges may apply in certain countries.